Update – Modern Baby Co. mobiles are here! It sure didn’t take long for these lovely mobiles to reach us in Australia! Hunter and Gather have just received stock of The Modern Baby co. mobiles we featured in August. They are just $49 each plus post and all three designs are available – the whale, lion and butterfly. These peaceful pals will provide gentle entertainment for those who are new to the world and we’re sure you’ll agree they’ll make a nice feature in your home after baby has grown. 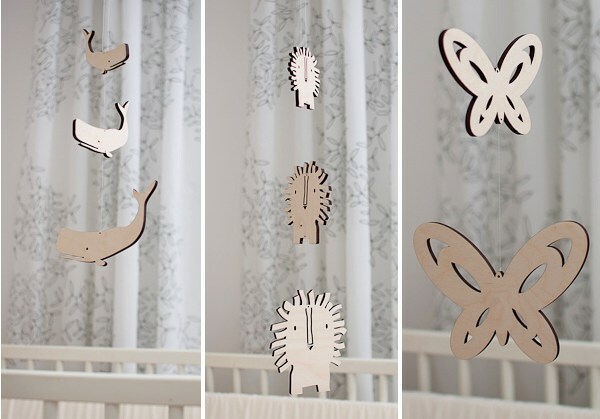 The perfect accompaniment to a beautiful nursery, these new release birch mobiles will enchant a new generation of babies. Buy now from Hunt and Gather.